What Are the Different Types of Figure Skating? Figure skating is mesmerizing to watch, and deceptively complex. Although it might seem like a simple activity that either includes singles or pairs gliding around on the ice, what outsiders or newcomers might not know is that the sport is multifaceted. There are several different categories in which athletes can compete, such as men’s and ladies’ singles, pairs, ice dancing, and synchronized team skating. Each type of skating has similar guidelines, rules, and techniques, but also a number of nuanced differences that makes each form of the sport unique. When most people think of the sport, they generally imagine one skater out on the ice performing a routine. They’re right, in part. Single skating is a discipline of figure skating in which men and women perform individually. Each competition is composed of two parts: the short program, skated first, and the free skate. In singles skating, a skater’s form, technique, style, and the ability to perform under immense pressure are crucial to achieving the highest possible score in competition. Single skating is made up of various jumps, spins, and choreographed sequences. Each skater must perform required elements depending on their level in competition determined by the International Skating Union, the international governing body for figure skating. All of these moves must be done within a time frame of 2:40 with 10 seconds leeway, and can be done in any order. For the free skate, skaters have up to 4:10 to perform their routine. Skaters are allowed to select their own music and program themes, as well as create choreography in a way that displays their skill levels and artistic abilities. Pairs skating is similar to singles, but it involves skating in unison with a partner, as well as performing more difficult lifts and throw jumps. Pairs skating requires you to be in sync with your partner and have excellent communication throughout your routine. Just like singles skating, competitions require certain elements to be included in these programs. Short programs are limited to 2:50, while free skates remain set at 4:10. In the pairs free skate, you’ll see more difficult and unique lifts and spins, as well as elements such as mirroring or shadowing, as skaters display their strength skill level, and teamwork. Ice dancing, like pairs, is done with a partner–but this form of figure skating is more focused on the dance aspects, rather than jumps. In competition, ice dancers are required to put emphasis on rhythm, interpretation of music, and precise steps. The beauty of this form of skating is that it allows for more creativity and innovation on the ice. Ice dancing is also composed of a short dance, or rhythm dance, and free dance during competitions, each with its own required elements. 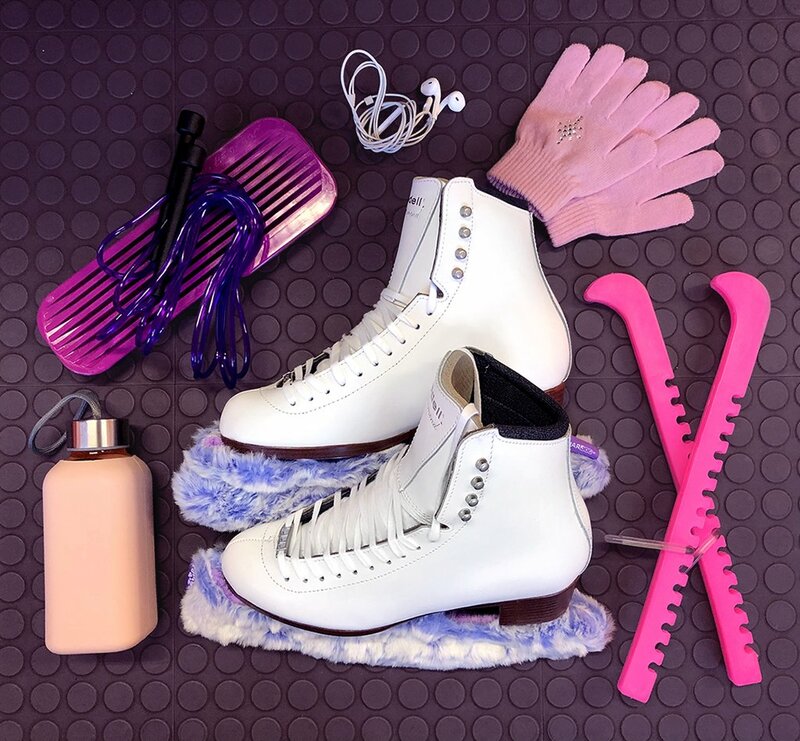 Whether you’re an ice dancer moving to the rhythm or a pairs skater gliding out on the ice with a partner, you’ll need high-quality equipment in order to perform to your maximum potential. Good figure skates are at the top of every skater’s wishlist, especially those who want a custom fit. At Riedell, our master craftsman can create a boot tailored to your unique specifications and needs–so that you’ll be prepared for any type of skating.